This is just so much fun. 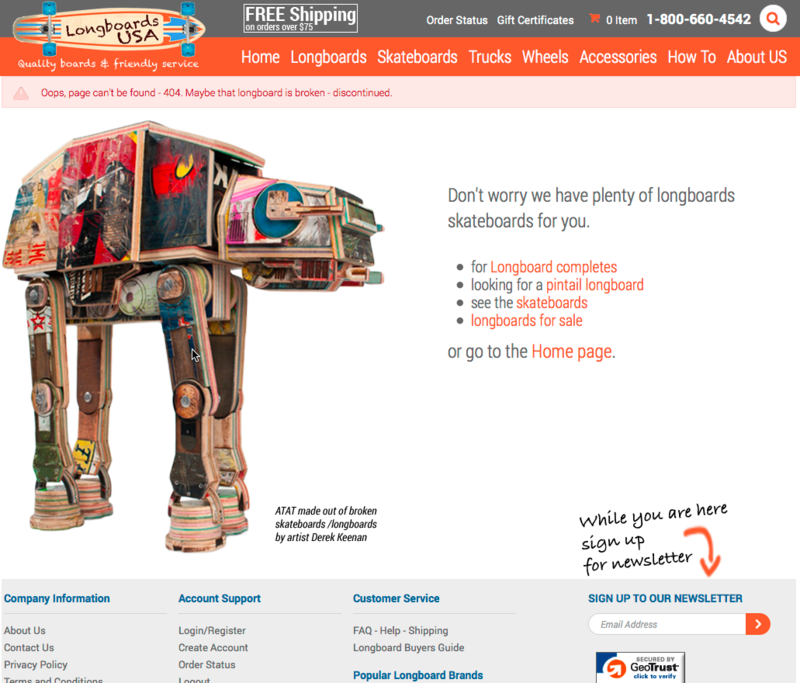 The guys at longboards usa have used Japanese famed artist Haroshi reclaimed AT-AT build out of old skateboards on their 404 page. What a brilliant combination. Its a way to reuse skateboards and longboards and give them a second live. At the same time Star Wars fans will recognize this AT-AT (or All Terrain Armored Transport) walker also know as imperial walker the heavily armed but slow mover from the Galactic Empire‘s army. Skateboard are also transportation related and its a great mix to combine that all. I browsed around the selection of boards and they have quite a few. Definitely some I would add to my wishlist. How many days till x-mas…..?? Interesting and fitting choice for a longboard store.